Ha Yoon-joo becomes the newest member to join a unit within the Korean Police Forces Special Crime Department that specializes in surveillance activities on high profile criminals. 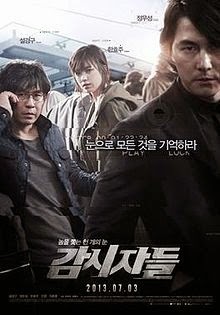 She teams up with Chief Hwang, the veteran leader of the unit, and tries to track down James, the cold-eyed leader of an armed robbery organization. This is unbelievable, I actually watched a Korean movie and it was that good that I watched till the end. Really captivating, the storyline may not be unique but the casts were really good. Enjoyed their surreal performance albeit busy reading the subtitles LOL! Just saw their accolades... no wonder they were nominated in many awards and won a few too. Bravo!